I wore these sequin leggings last year, and of course had to pull them out again this year because they are just so cute! These adorable leggings are perfect for holiday parties , and can be worn so many ways! Also, to all of you Holiday shoppers, Victorias Secret is having a sale on pajamas right now! They rarely ever go on sale, so right now is the time to buy! Head on over before all the good stuff sells out like last year! Happy Shopping! I think I remember you wearing these pants last year! Love this festive look! 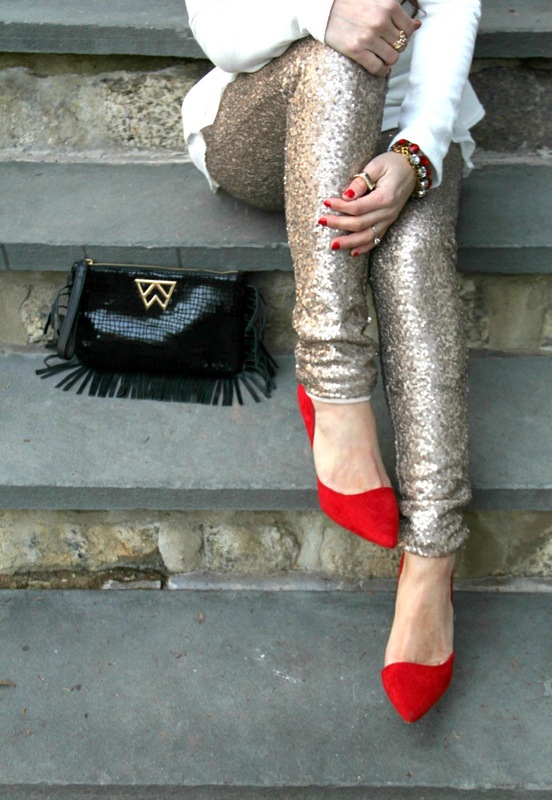 Love the leggings, perfect outfit for holiday parties!